This unique water storage container is produced from heavy duty PVC and is designed to store and protect water for many different uses. With natural disasters and emergencies occurring more frequently than ever before, the need for preparation cannot be understated. 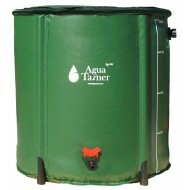 That is what makes the Agua-Tainer such a vital component of any preparation strategy. IMPAK’s water containers are essential for storing and protecting water. Whether you live in the city or out in the country, these containers are lightweight, easy to set up and use. They are designed for watering plants and irrigation, not for long term storage of drinking water. 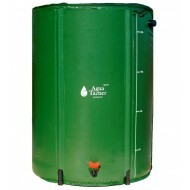 26 Gallon Agua-Tainer Water Storage Receptacles This water storage container is manufactured..
59 Gallon Agua-Tainer Water Storage Receptacles This water storage container is manufactured from..